Green River flows are lower than normal, but floating still good. Big and ugly fly patterns are working for the big fish. New Fork flows still holding up. Warm temperatures are slowing the fish down a bit. Fishing in the Wind River Mountains is great! The Green River continues to fish well, the flows are slightly lower than normal but there are still floatable sections. The cfs at Warren Bridge is 500 and should stay there through July. It's that time of the year when we get to use the big and ugly fly patterns for big fish. With the dryer than normal weather we are having we should have good hoppers and beetles the rest of the dry fly season. There are many patterns that will imitate hoppers. Try a Triple-Decker or Chernobyl Ant. If you twitch your fly on the surface, and look like a struggling hopper or beetle rather than dead drifting, you will get better results. The New Fork River is also holding on flows. The fish are not as aggressive as they were earlier in the month. The water temperature is up and it really slows the fish down. Streamers have been working. Try a Big Horn Special or any brighter pattern with rubber legs. The Wind River Mountains are fishing great. The hoppers and beetles are out in the hills also. Try small Green Hoppers and Humpies for the streams and shorelines of the lakes. 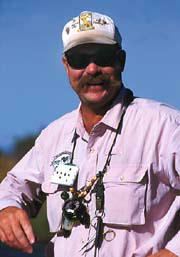 If you are going after golden trout, try a Platte River Special with a Brassie Dropper. I have found this combo works the best.